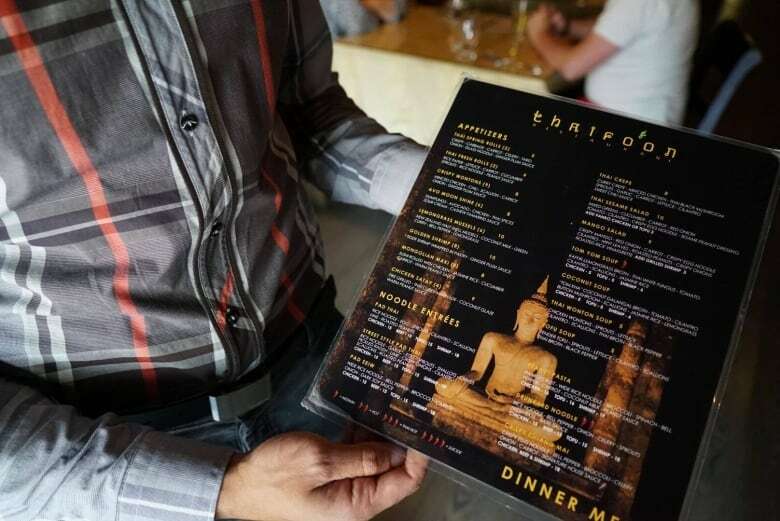 Staff is reprinting thousands of menus with the word “Thai fire” instead of “suicide"
Mark Henshaw was reciting familiar dinner options to the table he was serving at a popular downtown restaurant when one word on the menu left a bad taste in his mouth – suicide. 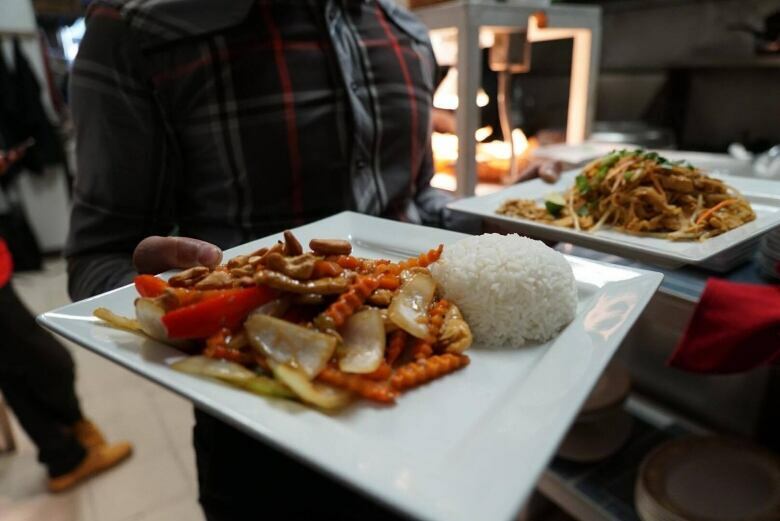 It was used to describe one of four flavour options at Thaifoon Restaurant, which has been a mainstay on Dundas Street for more than a decade. "It's much more than just a word," he said. "Suicide is not a spice. Suicide is a very dark experience that some of us have gone through in our lives." Upon reading the menu two weeks ago, Henshaw went into a dark spiral of thoughts, remembering his own grandfather and two high school friends who died by suicide. He even recalled a darker time when he suffered with severe mental health issues. He was afraid customers could also be negatively affected by what he described as being a trigger word. "When people hear these words and associate it with an experience that was difficult for them, they're likely going to get anxious, which will make them uncomfortable and stressed," he said. Henshaw approached his manager who didn't hesitate to change the menu option prior to World Suicide Prevention Day on Sunday. 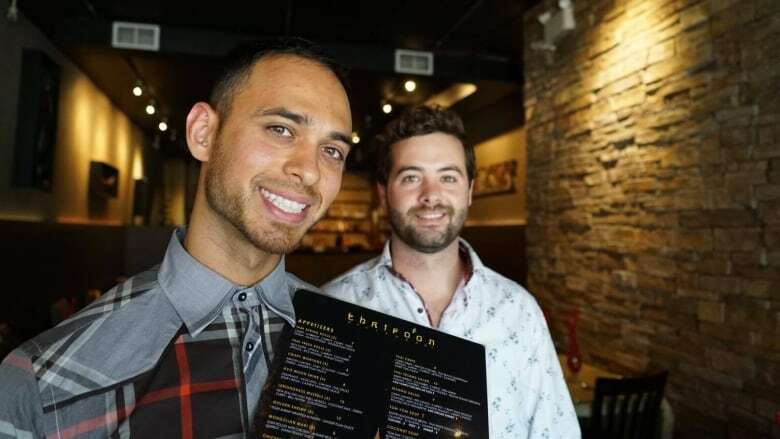 "When I first had these menus printed (in 2014), it never really occurred to me and I don't think other restaurant owners even think about it," said Fouzan Beg, the owner of the restaurant. "It's such a negative word. Food is such a beautiful thing and associating such a positive thing with such a negative thing doesn't click." Fouzan is reprinting about 5,000 take-out and 100 in-store menus with the word "Thai fire" instead of "suicide." Now, he wants other restaurants, and especially eateries that sell wings, to take a similar approach. "I've seen it in commercials. I've seen it on TV. I've seen it in books and some articles in the paper," she said of the word "suicide" being used as an expressive sentiment. "You have to be sensitive. You have to really and truly try and stop and think before saying and writing stuff." Whitfield said many restaurants could be afraid to remove the word suicide from their menus because it's a common expression used to describe a spice. However, both Whitfield and staff at Thaifoon hope that the small actions of one family-owned restaurant will encourage other outlets -- and chains -- to follow suit. "This is a small thing. This is words on a page," said Henshaw. "But, it's something that could change the way people (think) about something and that's so powerful."